May is the month for many large art fairs in NYC. I recently spent an afternoon at the Pulse Show. There were quite a few works that had mathematical connections. 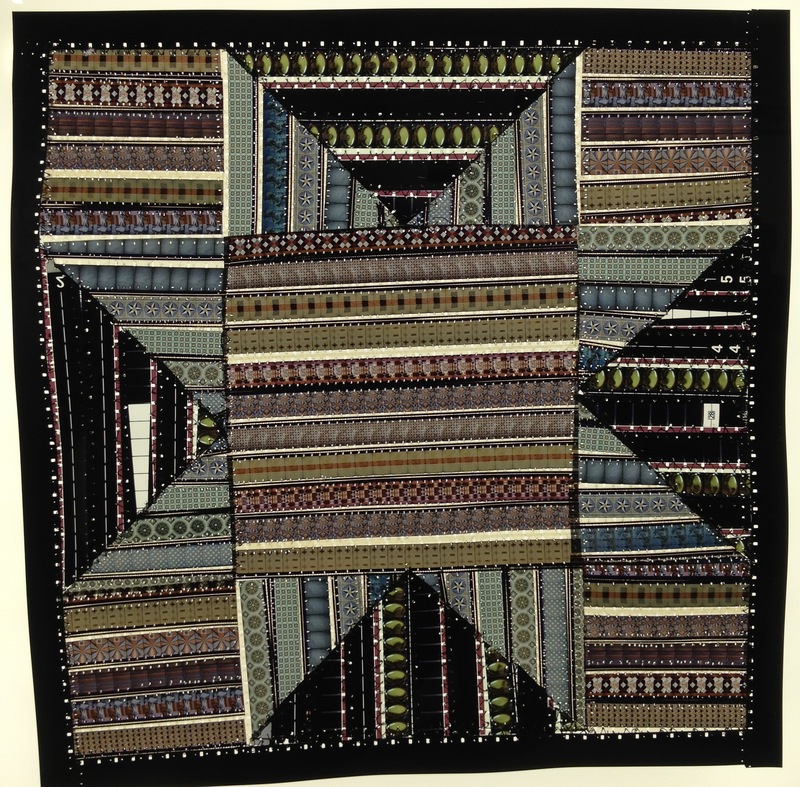 The geometric structures of quilts have frequently been discussed in books papers and lectures. Sabrina Gschwandtner has developed a unique process: instead of cloth, she uses segments of film footage. The LMAKprojects booth at the fair had some wonderful examples of Gswandtner’s work on display. The films for these quilts were produced between 1952 and 1982 and were documentaries about women and textile craft practices. 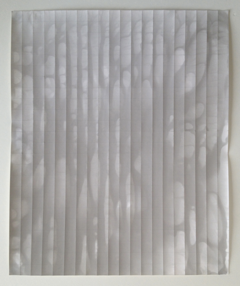 Although at first the patterning in the sections of the work appear to be repetitive abstract patterning there is a actually a self-referential social statement imbedded in the “fabric” of each work. The work ” Heats and Hands Black Block” order 4 rotational symmetry, and an interesting repetition of the squares. The large center square has four times the area of each of the corner squares and is one quarter the size of the entire piece.This creates a great example of self-similar forms at play. I am always looking for different ways geometry can be used to make art. The Jayne H Baum gallery booth had a display of the work of Amanda Means, who has incorporated grids into her photographic darkroom process. Means scratches the lines of the grid directly into the surface of the paper. Then, while listening to music she uses a pen light to manipulate the images. In the work “Abstract grid” 51 2005 what I find fascinating is the way the scratches of the grid has effected the flow of the work. The valleys and the raised edges around the scratched lines have created the square gridded patterns forcing the free flowing quality of the pigment to conform to the underlying geometric structure.